If mangroves can be considered the boundary between marine ecosystems such as seagrass beds and coral reefs, the first terrestrial ecosystems that occur in many places in Belize are the savannas. Savannas are grassland ecosystems with few trees. 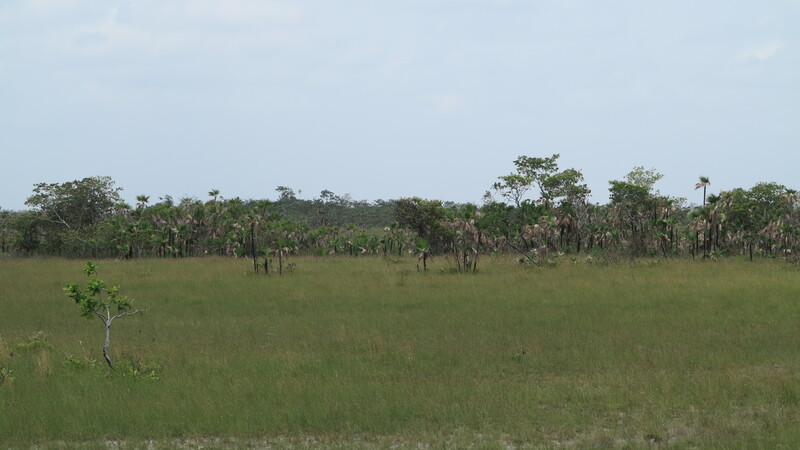 There are three types of savannas in Belize: Open savanna, dense tree savannas and seasonally waterlogged savannas with shrubs and trees. The main plants found in savannas are grasses and sedges, Palmetto Palm, Pine, Craboo and Oak. Savannas make up about 10% of our national territory. For a long time, Belize has been considered to be synonymous with its broadleaf forests. 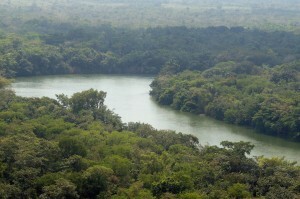 These forests produced a lot of wealth for the Maya as well as the British who exerted a strong influence over Belize. Broadleaf forests are comprised of distinct layers. The bottom layer is called the understory and contains shrubby plants such as ferns, small palms and heliconias. 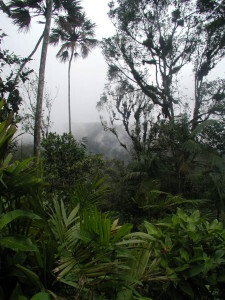 Above the understory is the canopy which is an interconnected layer of trees growing at a similar height and connected by vines and lianas. Trees in the canopy include Breadnut, Nargusta, Ironwood Milady and Santa Maria. Above the canopy is the emergent layer which is made of tall trees which surpass the height of the canopy layer. These are often Mahogany, Guanacaste, Ceiba and Sapodilla. Lowland broadleaf have been estimated to occupy anywhere between 40 and 65 % of our national territory. These forests are generally not seen in steep land or at elevations above 500 m. The canopy is uneven and 20 to 30 m high with emergent trees as high as 50 m.
Although Belize has been referred to as a “rainforest paradise,” there are few tropical wet forests in the country. These occur mainly in the southern Toledo district, where average annual rainfall can exceed 5,000 mm. There are also pine forests which occur at lowland areas primarily to the west of savannas on the coast. There are two main types of upland forests in Belize. These are sub-mountain broadleaf forests and upland conifer forests (also called a subtropical lower mountain moist forest or “pine ridge”). 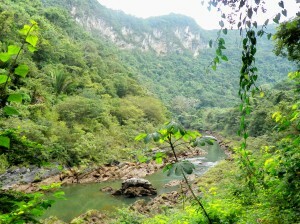 Sub-mountain broadleaf forests occur in the Maya mountains above 400-500 m in elevation. Sub-mountain pine forest only 3% of Belize’s territory, but they are some of the more unique and fragile of our national ecosystems. One of the more interesting ecosystems in Belize’s interior are the riparian forests. 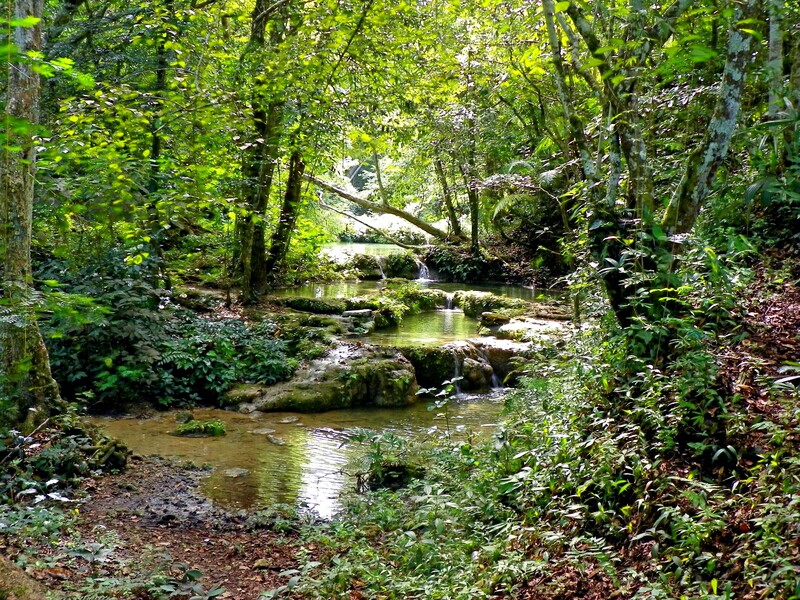 These are areas regularly influenced by freshwater, normally extending from the edges of water bodies such as rivers and lakes to the edges of our lowland broadleaf forests. 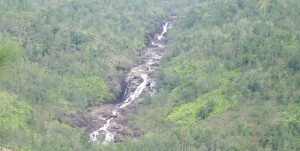 Streams are the most abundant aquatic ecosystems in Belize in terms of length. Thousands of streams feed into the rivers of Belize. Streams take rainwater precipitated from the sky and begin the process of returning this water to the sea. The transport of water to the sea entails movement along large waterways known as rivers. 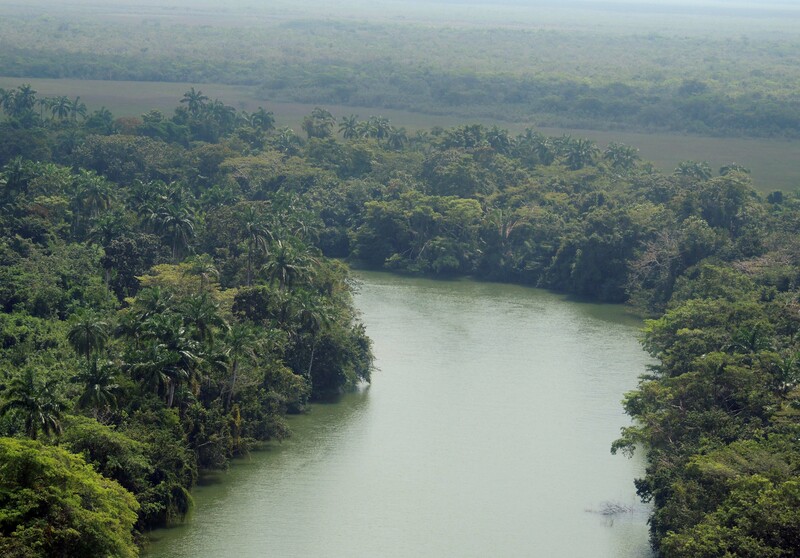 There are many rivers in our country but it is accepted that Belize has eighteen major rivers. 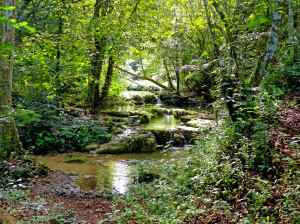 A river is a natural watercourse, usually freshwater, flowing towards the sea or ocean. Rivers are important in Belize because they were once used as the mode of transportation of mahogany logs as well people. Our Belizean rivers feed into lagoons, mangrove swamps or wetlands. Lagoons are bodies of water separated from a larger body of water by a shallow area. Examples of lagoons in Belize are Northern Lagoon, Bennet’s or Bulkhead Lagoons. There are more lagoons in the northern coastal areas of Belize compared to the south. 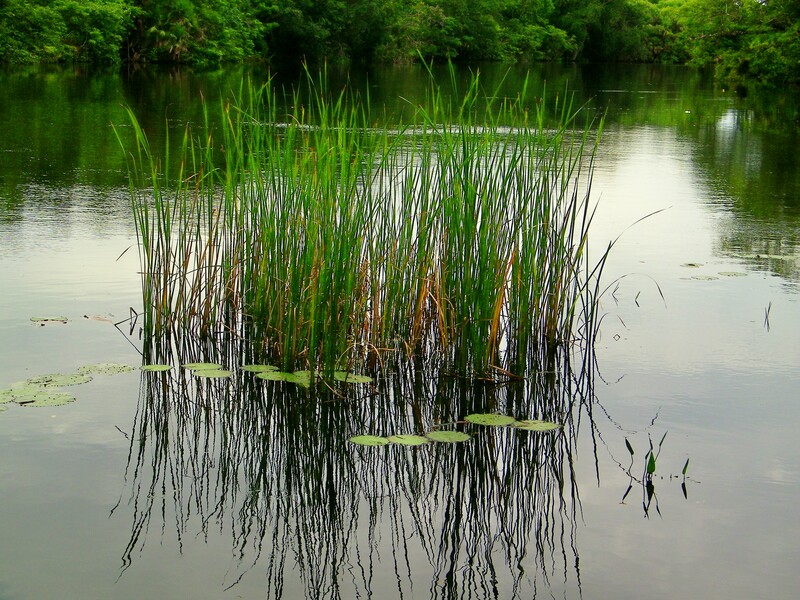 Lakes are bodies of fresh water which are larger than ponds. Examples of lakes in Belize are Five Blues Lake and Punta Negra Lake. 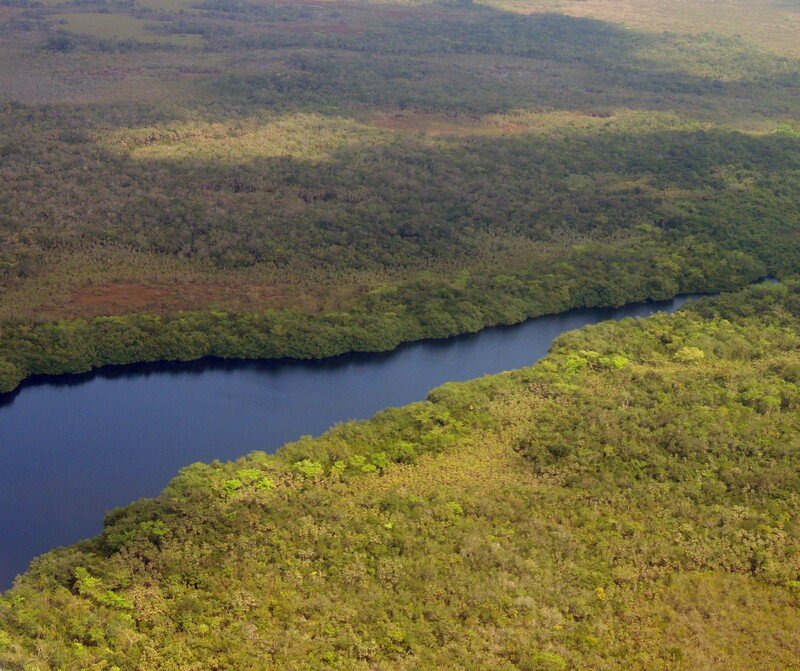 Freshwater Mangrove swamps are areas with mangroves growing in freshwater. Examples can be found at the Booths River Marsh. 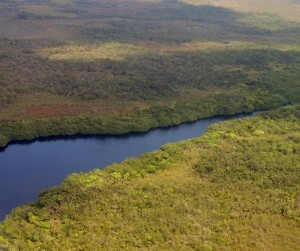 Freshwater mangroves are dominated by Red Mangroves. Although these ecosystems may contain small amounts of seawater, they occur along rivers which originate from freshwater sources. 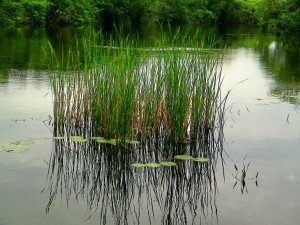 Rivers may also feed into wetlands. Wetlands are water logged areas which are not dominated by mangroves trees but are swamps and marshes dominated by shrubs and grasses. There are also forested wetlands which occur in lowlands subject to flooding.